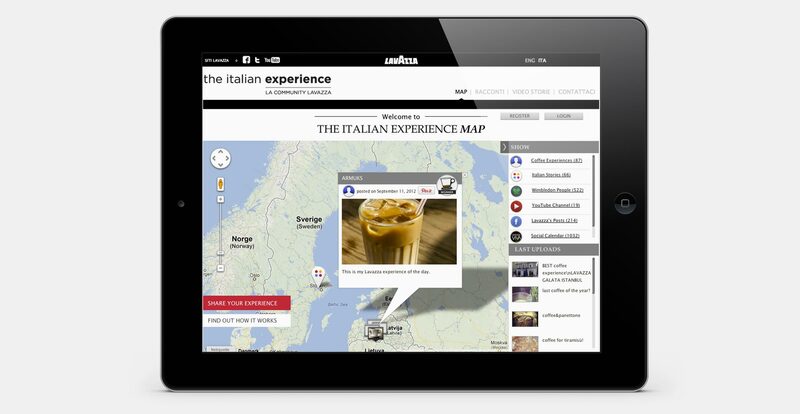 Merge into a unique social tool the whole operations and engagement activities of Lavazza’s several business units. 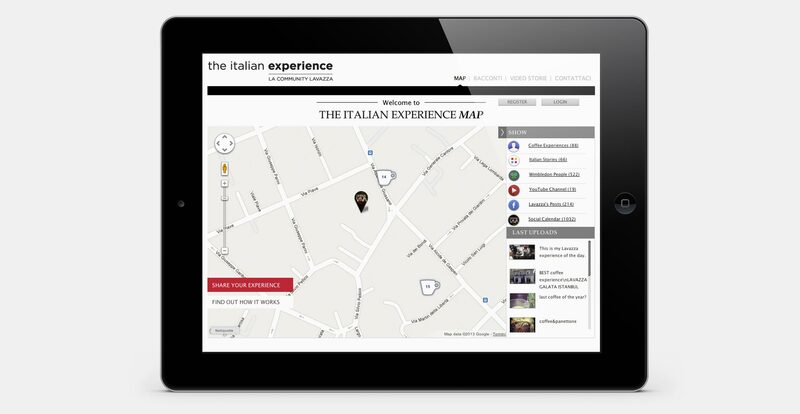 Create the first global rewarding system directly connected to the product consumption which maps the Real Italian Espresso Experience. Taking and uploading pictures of Lavazza coffee, sharing contents about the editorial project “Italy behind Italy”, Brand events, Lavazza calendar and all the social actions, everything is geolocalized. 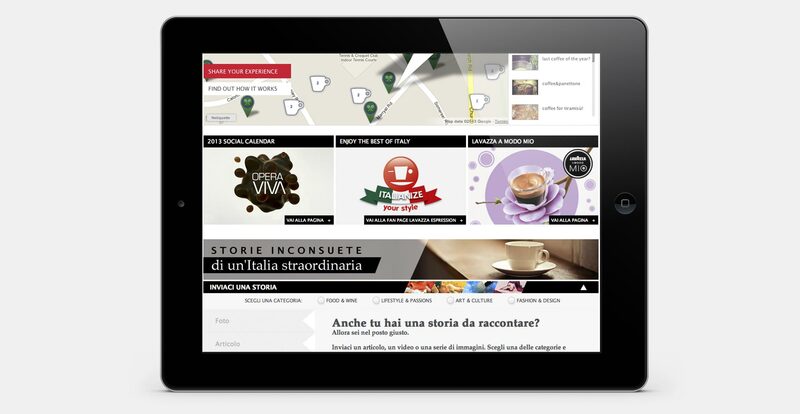 All users actions participate to a mechanism of credits accumulation to win Lavazza prizes.